A TV extended warranty is a fixed-price insurance policy that, as the name implies, goes beyond (and is separate from) the manufacturer's standard warranty. It's usually sold at the same time the TV is purchased, and it's intended to provide financial protection for the consumer in the event that the expensive, new HDTV malfunctions. These extended warranties generally provide benefits such as preventative maintenance, free replacement, no- or low-cost repairs, and power-surge protection. Many extended warranties even offer in-home service and pickup for defective products, so you won't have to haul your large, heavy TV back to the store. Just remember that an extended warranty is in no way affiliated with your TV's manufacturer warranty. It's a completely separate and optional service that you pay for in addition to whatever you pay for your new TV. What Does a TV Extended Warranty Cover? A worthwhile extended warranty for a TV should act much like a bumper-to-bumper warranty for your car. This means that the picture screen (burn-in), buttons, inputs, outputs, internal components, TV stand, IR sensor for the remote control, on-board circuitry/software, and more are covered. An extended warranty often includes convenience features like in-home service or free pickup should your TV need to go to the repair shop. Some extended warranties, such as Best Buy's premium protection plan, might also cover other convenience features such as preventative maintenance, telephone troubleshooting, and recalibration. Be sure to confirm the specific details by reading the terms and conditions of the warranty. Where Can I Buy a TV Extended Warranty? You should be able to buy some sort of extended warranty or TV service plan anywhere a TV is sold. Usually, the store will try to sell you the extended warranty at the time you buy the TV. If you refuse to buy it at the time, you often have the option to change your mind within a set period, usually 30 days. If the store doesn't sell extended warranties or if you don't trust the company selling the extended warranty, you can turn to the internet to meet your extended warranty needs. DTV Express, Ted Unlimited, Amazon, and Square Trade sell third-party extended warranties—meaning, they sell warranties for a TV that you bought somewhere else. Because such a company isn't involved in the TV sale, there is usually a time limit on when you can buy an extended warranty in relation to when you bought the TV. The time limit could be within 30 days or, in the case of DTV Express, nine months. Something else to consider about online warranty companies is their customer ratings and reliability. Always check the Better Business Bureau (BBB) rating. 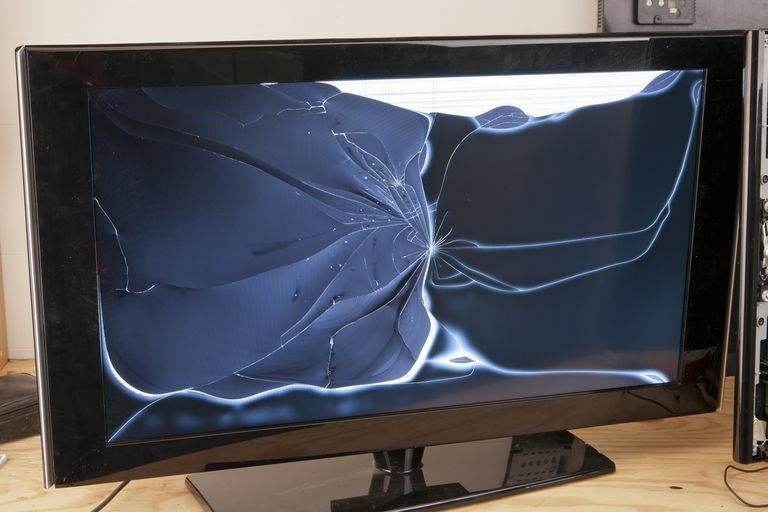 Should You Buy a TV Extended Warranty? Most TV manufacturer warranties cover parts and labor for one year from the purchase date. So, it's important to know how long the manufacturer's warranty is before deciding on an extended warranty. Extended warranties can cover a TV for years. Coverage for extended warranties begins the day you buy the warranty. If you bought the extended warranty at the same time you bought your TV, this means that your new TV is covered by two warranties for its first year. Once the manufacturer's warranty expires, you'll be covered solely by the extended warranty. The first year might seem like you're paying for two services but only getting protection from one. So, why not just start the extended warranty after the manufacturer's warranty expires? That's a fair question—but keep in mind that extended warranties tend to pick up the slack for manufacturer's warranties, and they're a lot more customer-focused than a typical manufacturer's warranty. Determining the value of an extended warranty is in the eye of the beholder. For some, it offers security and peace of mind knowing their investment is protected long after the manufacturer's warranty runs out. Others believe it's a worthless product sold only to raise profits while appearing to provide a value. What Doesn’t an Extended Warranty Cover? Normal wear and tear, accidental damage, and power surges are at the top of the list of things that might not be covered. Many people have been burned by salespersons' claims about extended warranties. These greedy salespeople are partially at fault, of course, but you, as a consumer, must be proactive and informed with any purchase you make, too. There might be an enormous difference between what you think the extended warranty should protect and what it actually does. Forget what the salesperson tells you the warranty covers. Forget what your friends tell you. The bottom line is that the extended warranty will cover only what is detailed in the terms and conditions for the policy you purchase. Read the fine print before buying any extended warranty, no matter how trustworthy the person or company selling the warranty appears to be. Ask questions when you are unclear; get clarification in writing if you don‘t see the protection listed in the warranty‘s terms and conditions. It’s your money being spent, not theirs. In most circumstances, the price of a TV repair will be more expensive than the price of the extended warranty. Whether you buy an extended warranty online or in a store, prices are determined by the cost and type of the TV. This means that warranties might differ for TVs with extra features or certain technologies. These change fast, so be sure to ask about the price for the extended warranty as it applies to a particular television. Don’t assume that one price covers all. An extended warranty for a $499 television could have a different purchase price than a warranty for a TV that costs $500, even though both extended warranties are identical in coverage.This is an unfortunate side effect of warranties that are based on price ranges (for example, $500–1,000). So, it’s critically important to pay attention to where the price breaks are for extended warranties. It might make it worth your while to move up or down the price ladder depending on the added cost of the extended warranty. Consider where you'll be using your TV and imagine the worst possible damage that could happen to it. Do you have kids or pets? Do you host wild parties or plan on moving your TV from room to room or house to house? Will your TV used in a college dorm room? In these cases, extended warranties can be well worth the extra expense. Always read the extended warranty terms and conditions. If the warranty vendor can't produce these in writing, kindly ask the vendor how they would expect you to pay for something as important as an extended warranty without seeing written documentation. Ask if someone can explain in detail what a typical claim process would look like from your perspective. You never know when someone will pass you a tidbit of information that will help you out down the road. Good salespeople know their products, so use them as a resource. Ultimately, the decision comes down to your comfort level. The very best advice is to read the fine print and make an informed decision.